Currently, RPZ valves are most commonly installed inside. 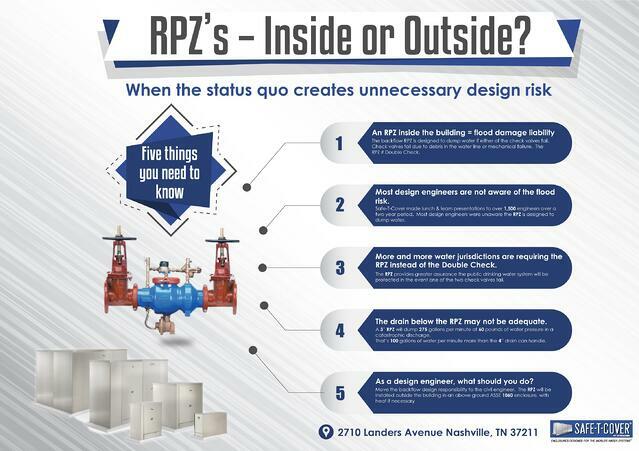 Most plumbing engineers, building owners, and property insurers are unaware of the potential flood risk of the RPZ. You can click here to watch a video of a 3" RPZ dumping water. It may surprise you. The key difference between a reduced pressure zone backflow assembly and a double check backflow assembly is that RPZs are designed to dump water to protect the water system. We have written an in depth blog that has proved to be helpful in figuring out the differences between DC and RPZ backflow preventers. The most important thing a designer must understand is the worst case scenario. What can happen. What describes the ‘perfect storm? We all know that with an RPZ, when water demand stops, the water between the valves often evacuates through the relief valve. Some (many) believe that event defines the maximum amount of water that will ever flow through the relief valve. But that simply isn't true. First let's look at a flow-stop situation, one that might naturally occur at the end of the work day. It's possible that a small pebble can lodge in the #2 check valve. Now what if there's something nearby in the system that causes a backsiphonage? Because the #2 check valve is not closing, all the water that has been delivered to the building will continue to flow through the relief valve until the private lines are cleared. If this is a four story building, that’s a lot of water! Now we'll consider a failure of the #1 check valve. Under normal operating conditions, this failure would go unnoticed. Water will continue to flow undeterred through the system depending on user demand. But with this imbalance in the system, changes in demand tend to rock the remaining valves open and closed sporadically. This creates the conditions for the “perfect storm” scenario. The imbalance created by the #1 failure makes the relief valve more prone to opening momentarily, allowing debris to block the closure of that valve. 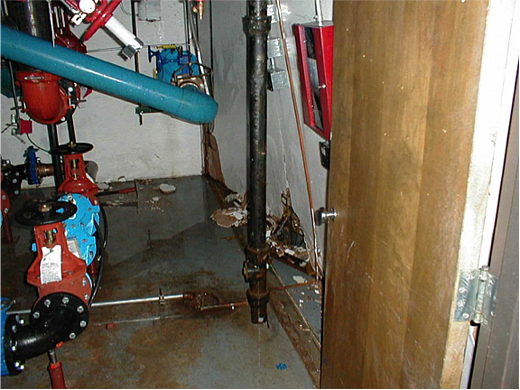 Under such conditions, a constant flow of delivered water will begin to flow directly through the relief valve. This reduces water pressure for the user, but delivery will continue. The real damage begins when the user stops using water such as at the end of the work day. With the relief valve blocked open and the #1 check valve inoperative, all the water that the purveyor can provide will flow unabated through the relief valve, and continue until the water source is interrupted. This is the scenario that must be avoided: the perfect storm. Watch an RPZ Dumping Water. Would You Want This in Your Building? This flood risk is still not common knowledge, but it really should be. Backflow preventer manufacturers also make a flood control valve that is designed to be used in conjunction with reduced pressure zone devices. We've looked into what it does and wrote about the Watts version of the flood control valve. Additionally, backflow manufacturers have made the relief valve discharge rates available to the public for all their RPZ models and sizes. Backflow manufacturers are making an effort to inform and prepare designers and property owners about the amount of water a relief valve can discharge. In turn, water district managers need to develop backflow preventer details with outdoor RPZs. 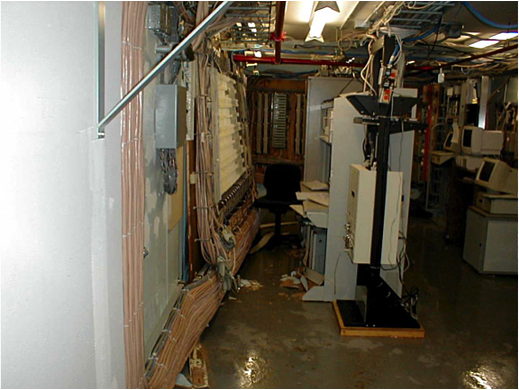 It's then up to engineers to design the backflow prevention solution the best way they can.